Everyone’s focusing on social media these days. And in many ways, social media is great because it reduces the barriers to interpersonal communications. But it doesn’t eliminate them. And with the high volume of electronic communications being generated today, how else can an organization reach its target audience? 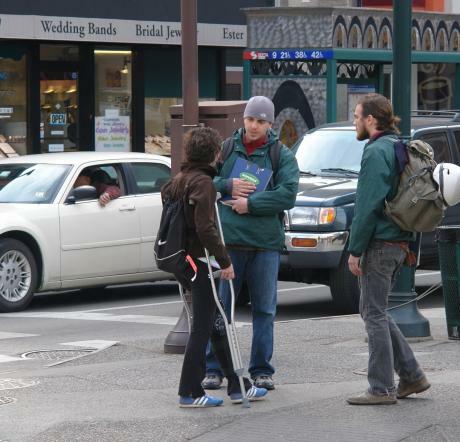 We can all agree that being approached on the street for a donation or petition signature is annoying. But the simple fact is, these tactics work. There’s a reason why the Church of Latter Day Saints, with its millions of missionaries, is one of the fastest growing religions in the world. And why successful politicians spend much of their energy canvassing door-to-door and making thousands of phone calls to potential voters. The very word evangelism (as in brand evangelist) comes from the early Christian church and their tactic of “going out into the world and spreading the gospel to every creature” (Mark 16:15). The challenge? These tactics are hard to organize because people are reluctant to volunteer for them. Believe me, we had a heck of a time recruiting volunteers to participate in Friends of Mimi Carter phone banks in 2008. But for groups that can pull this off, and make it part of their integrated marketing campaigns, the payoffs can be substantial. 2. How Will You Achieve Your Goal? – Strategy is like a road map. There are many ways to get from point A to B. Which will you take? 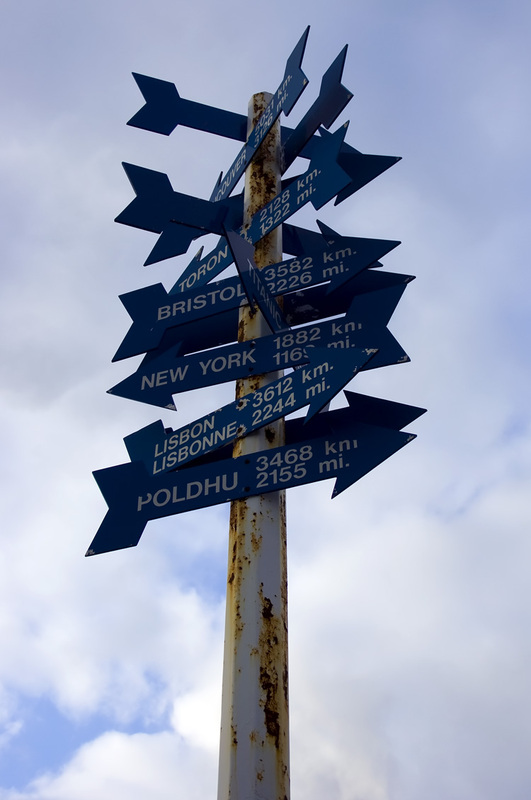 Defining your route ensures prevents costly and time-wasting detours and dead ends. Just make sure your strategy actually leads to the achievement of your goal, unlike what happened to Hillary Clinton in 2008. 3. What Will You Do? – Once you have a goal and strategy, what tactics will you employ? Will you start a blog, buy advertising or start a newsletter? And what can your customers do to spread the word? As with strategy, make sure your tactics actually achieve your goal and don’t run counter to your strategy like John McCain in 2008. Media coverage might make you feel good, but if it doesn’t achieve your goal of increasing sales, why bother? Strategic planning is a critical first step in any campaign. By developing an integrated campaign along these lines you can significantly increase your chances of success. Feel Your Boobies: Now That’s Interesting! A successful grassroots campaign needs many things. An interesting idea, concept or slogan is one of them. People pay attention to interesting things and ignore what’s boring. Sometimes a product name is so interesting that it carries the weight of an entire grassroots campaign. 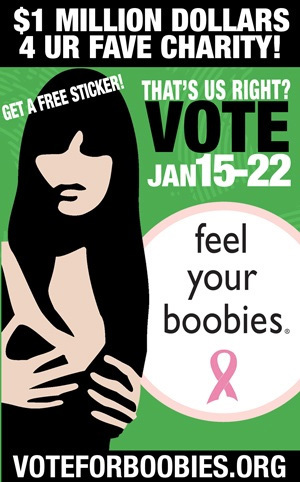 “Feel Your Boobies” is a good example of what a powerful name can accomplish. Five years later, the “Feel Your Boobies” t-shirt has sprouted a Foundation with annual revenue of $150,000 and more than 100,000 Facebook followers. The FYB Foundation has a strong online campaign that helps spread awareness about the importance of breast cancer self-examination and the Foundation. If Leigh’s original t-shirt had read “Examine Your Breasts Annually” it would be one among many groups raising awareness of cancer. But now, thanks to the visibility her clever name generated, the Feel Your Boobies campaign has a budget and the ability to reach many more people than their peers. You too can also improve your every-day marketing and communications by simply being interesting. Companies and organizations need personality and irreverence. I’m not suggesting you need to change your company name or image. Just that the next time you speak out, spice it up a little bit.